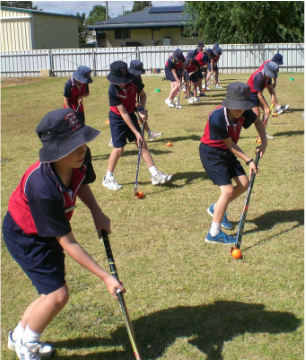 On enrolment, the children are placed in one of three sport houses – Rynne, Hughes or Lynam. Our sports houses were named after families represented in our heritage listed shrine which commemorates the fallen from World War One. Children compete in these houses during Athletics, Swimming and Cross Country carnivals. Children from the same family are placed in the same house. Each child is expected to participate in activities as part of the school curriculum unless parents indicate through a note to the teacher a valid reason why their child should be excused from activities. Sports uniforms are worn every Tuesday and Friday.